Casa Escondida Bed & Breakfast is located in historic Chimayo, NM. We are surrounded by 6 downhill ski areas. The opening days for the 2013 / 2014 ski season are just around the corner. So dust off your ski boots and book your room now. Sipapu Ski Resort is family friendly and it opens on November 16th. This is the earliest opening day of any of the New Mexico ski areas. 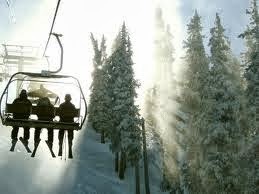 Ski Santa Fe opens on November 28th and it is only a 20 minute drive from Santa Fe. Angel Fire will open on December 13th. This is the only place to night ski in New Mexico! Pajarito Mountain Ski Area opens in early December. Here you can downhill or cross-county ski. Red River Ski Area opens on November 27th. You can also do some tubing here. Taos Ski Valley is big mountain skiing. They open on November 28th. If you are not an experienced skier, don’t worry. All of these ski areas also offer equipment rentals and lessons. Some say that variety is the spice of life. 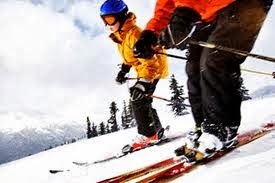 If the same is true for you and your skiing, then Casa Escondida B&B recommends that you consider purchasing a “Ski New Mexico Membership”. 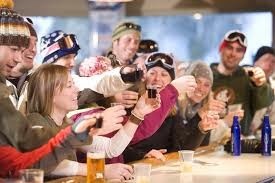 For only $295 you can become a Ski New Mexico member. Members receive a Ski New Mexico Pass (punch card), which entitles you to two lift tickets at each of the 9 New Mexico Ski areas. These cards are transferable too. So if you are unable to use the lift tickets for all 9 ski areas, you can transfer the card to someone else for their continued use. 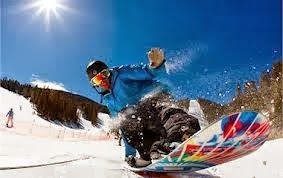 There are a few blackout dates but overall, the Ski New Mexico Pass is a great deal! Not sure where to start? Order a FREE copy of “Slopes” magazine and start planning your New Mexico ski vacation.There are 3 additional New Mexico ski areas (Sandia Peak Ski Area, Ski Apache and Ski Cloludcroft) which are not in the vicinity of Casa Escondida Bed & Breakfast but we hope that you enjoy those too. Skiing the various slopes is a wonderful way to experience New Mexico. Casa Escondida Bed & Breakfast is a delightful New Mexico retreat, which has rooms available year-round. We are perfect for a romantic New Mexico getaway too. Contact Casa Escondida B&B to check room availability or to inquire about a reservation. Casa Escondida Bed &Breakfast is a green bed & breakfast, which provides Santa Fe area pet-friendly lodging in 4 of our 8 guest rooms. Enjoy your New Mexico travels, Casa Escondida Bed & Breakfast and skiing in New Mexico! We look forward to having you as our guest!